TISSNET 2018 was conducted on 6th January 2018. The application process began from October 2017 and December 8, 2017 was the Last Date for Online form Application / Registration for All Master’s programmes. The TISSNET 2018 was held on 6th January 2018. The exam is conducted through online means i.e. it is computer based. The language of the exam is English. The total duration of the exam is 1 hour 40 minutes. It is an objective type exam with multiple choice questions. Each question will have four options. Total number of questions asked in the examination is 100, each question carrying 1 mark making the total marks allotted for the exam to be 100. It is important to remember that there is no negative marking for wrong answers. Since this exam is conducted for seeking admission in master’s level, only candidate who has a bachelor’s degree or who are in their final year of undergraduate programme are eligible to apply. Candidates who have bachelor’s degree with a minimum of 3 years duration or its equivalent ( under the 10+2+3 or 10+2+4 or 10+2+2+1 year bridge course pattern of study or any other pattern fulfilling the mandatory requirements of 15 years formal education) from a recognized university are eligible to apply. Candidates who are studying in 3 year degree programme, during the time of application must have passed in all the subjects for the 1st to 4th semesters and candidates who are studying in 4 year degree programmes must have passed in all the subjects for 1st to 6th semester. It is important to remember that only those Candidates are eligible to apply, who will be able to complete all the requirements of their final year Bachelor’s Degree examinations by Saturday, June 2, 2018. Further, candidates in their final year of undergraduate degree must remember that till the time the candidate submits results of the final year degree examination, admission to any of the Master’s Degree Programmes of the Institute will be provisional. The results of the final examination have to be submitted before September 30, 2018. Those who fail to do so the provisional admission stands cancelled. Registration and application process for TISS NET 2018 had begun in October 2017, and the last date for the same was 8th December 2017. Candidates can apply both via online and offline. In order to apply offline candidates need to get a printed copy of TISSNET application form from the institute by sending a request by Speed Post with application form fees to Assistant Registrar (Academic), Tata Institute of Social Sciences, Deonar Mumbai, 400088. For online method, candidates need to visit the official site of TISS NET 2018. In case the candidate belongs to SC / ST with Annual income less than Rs.2.5 lakhs Candidates need to submit Caste / Tribe Certificate, Income Certificate for the financial year 2016-17 along with photograph, signature and copy of challan. For candidates belonging from SC / ST with Annual income more than Rs.2.5 lakhs Candidates need to submit their caste certificate along with signature, photographs and cash challan. For candidates belonging to OBC (NC) Annual income less than Rs.1 lakh Candidates need to submit Photograph, Signature, Income Certificate for the financial year 2016-17, Other Backward Class (Non-Creamy Layer) certificate issued after 01-04-2017 by the District Magistrate / Deputy Commissioner / Tahsildar, TISS copy of challan (if paid by cash). For candidates belonging from OBC(Non Creamy Layer) (Annual income more than Rs.1 lakh but less than Rs. 8 lakhs) Candidates need to submit-photograph, Signature, TISS copy of challan (if paid by cash), Other Backward Class (Non-Creamy Layer) certificate issued after 01-04-2017 by the District Magistrate / Deputy Commissioner / Tahsildar. Certificates dated before April 1, 2017 will not be considered valid. For candidates belonging to PWD Category Photograph, Signature, TISS copy of challan (if paid by cash) and PWD certificate. For candidates belonging to KM category Photograph, Signature, TISS copy of challan (if paid by cash) and KM certificate. Offline- Cash Deposit in any SBI Branch using the prescribed challan. The admit card for TISS NET 2018 was released on 21st December 2017. Candidates can download their admit card online by visiting https://appln.tiss.edu/ and logging in with their email id and password. Candidates must check their details as mentioned in the admit card. Candidates will have to carry their admit card along with a valid id proof in order to sit for the examination. Failing to do so will lead to disqualification of the candidate from sitting for the exam. Candidates should also retain the admit card carefully for future use. The shortlisted candidates after the TISS NET will be called for the Pre Interview Test. The PIT is conducted for all the programmes across all TISS Campuses. The PIT is usually a written exam for most of the programmes. However, it might include Group Discussion for a few programmes as well. Candidates will appear for a personal interview after the PIT. In the personal Interview round questions are usually asked to understand the values and thinking of the candidates as well as on their knowledge about the programmes for which they are applying . Hence it is advised that the candidates prepare well enough about the programmes that they are applying for. PIT/PI is organised in four campuses: Mumbai, Tuljapur, and Hyderabad and Guwahati campuses. Candidates for programmes from Mumbai and other locations will come to Mumbai Campus for the PIT/PI. Candidates selected for programmes at Tuljapur, Hyderabad, Guwahati will attend PIT/PI at those campuses. After the completion of all the three rounds, the final merit list is prepared on the basis of which candidates are granted admission in TISS. It is important to remember that in case there is a tie between two candidates, it is their PI marks will be preferred, in case if there is tie between their PI marks their PIT will be considered, if their PIT tie then Entrance exam will be preferred if Entrance exam is also tie then the candidate who is older will be given preference. Candidates whose names feature in the final merit list will have to visit their designated campus along with the required documents and upon the payment of the programme fees, admission will be granted. Although no particular notification was released, the registration process began from the 24th of October, 2017. There are two types of helplines. For Admission related queries: 022 – 2552 5252. They can be contacted from Monday to Saturday from 8:00 am to 8:00 pm. The results of the TISS-NET examination will be declared on 27th of January, 2018. They will be declared on the official TISSNET website. Candidates who have appeared for the exam can download their scores on login. The candidates are also requested to take a printout of the scorecard in order to take part in the admission procedures. The qualifying cutoff for candidates from the Scheduled Caste/ Scheduled Tribe categories is 35% of the total marks and 45% of the total marks for all other categories. The results of TISSNET 2018 is valid for only one year. The validity of the TISSNET examination score stands for the particular academic year only. Hence, the validity of TISSNET 2018 score will be for the academic year 2018-19 only. Every candidate will get only one chance to write TISSNET for a particular academic year. Request for multiple attempts in any scenario will not be entertained by the exam conducting body. In accordance to the government of India norms, Tuljapur, Mumbai and Hyderabad Campuses will provide 15%, 7.5% and 27% reservation to the Scheduled Caste, Scheduled Tribe and Other Backward classes respectively for each of the programs offered. Additionally, there are supernumerary seats which are offered to Persons with Disabilities (PWD) [3%], children of the Armed Forces Employees [5%] and Kashmiri migrants [5%]. In accordance with the Ministry of development of the North-Eastern Region, Government of India, Guwahati allocates 66% of the seats to the eligible candidates from the eight North Eastern States. The remaining 34% of the seats can be allocated to candidates hailing from other parts of the country. The reservation rules that are allocated for the SC/ST, OBC, PWD Kashmiri migrants and children of the Armed Forces Employees are also employed here. 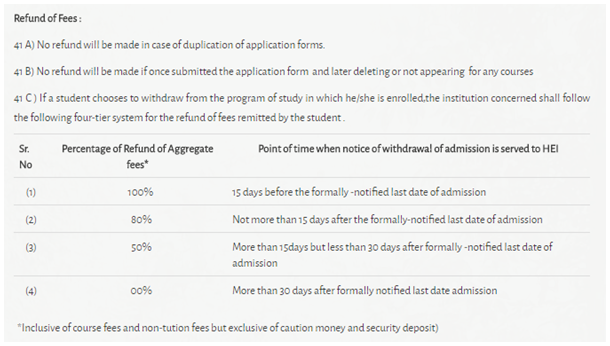 During the counselling procedure, a candidate is expected to pay the fee, produce the acceptance letter along with the score cards of the 1st, 2nd, 3rd, and 4th-year graduation i.e. Bachelor’s Degree mark sheet. All the candidates that belong to SC/ST/OBC category must also send their Caste and Income certificates. The 2016 paper can be found at https://www.tiss.edu/uploads/files/TISSNET_2016_QP-1_Revised.pdf. And the 2017 paper at https://tiss.edu/uploads/files/TISSNET_2017.pdf.